I paid $20 for it on Smashion.com, and it's one of my favorite things in my closet. 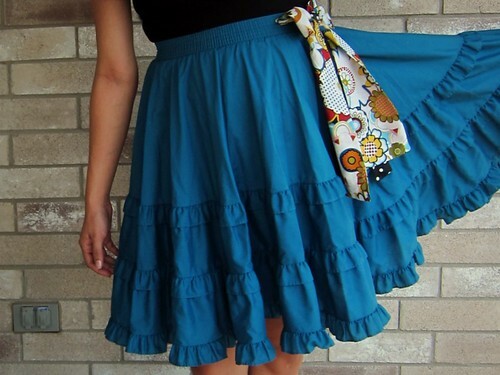 After Smashion became an Adored Austin partner, they credited my PayPal account back for the skirt, making it one of my most beloved courtesy items. The lovely folks at Smashion would like to offer a similar deal for one lucky Adored Austin reader. If you have a PayPal account and a Smashion account (or are willing to sign up for one), you can win up to a $25 PayPal reimbursement for purchases made on Smashion.com. In case you missed my original blog post about them, Smashion.com is a free, online marketplace that offers a style community and is much easier to wade through than eBay. I have bought and sold there, and when I did my partner spotlight a few weeks ago, Amberly even bought the Bebe shoes I blogged from Smashion! EDIT: Contest entry period ended and form removed. Winner TBA!